The items in the collection are lean and focused. Consisting of over 100 brief ebooks, worksheets and reference tools, the collection is organized into “bite sized” chunks, each of which is targeted at a specific skill to be acquired or problem to be solved. The result: You don’t waste time. Instead you get “just enough” information to improve each specific skill you decide to improve or to handle that immediate problem you face at work. The items in the collection are performance-based. In addition to just enough background information to help you understand the practical uses of the concepts, there are matching worksheets, checklists, or other tools that help you to apply your new knowledge immediately to your specific management situation. These tools are structured so that they subtly guide you through management best practices that will help you immediately ramp up your own on-the-job performance. I was so impressed by this collection that I decided to create a brief video tour. 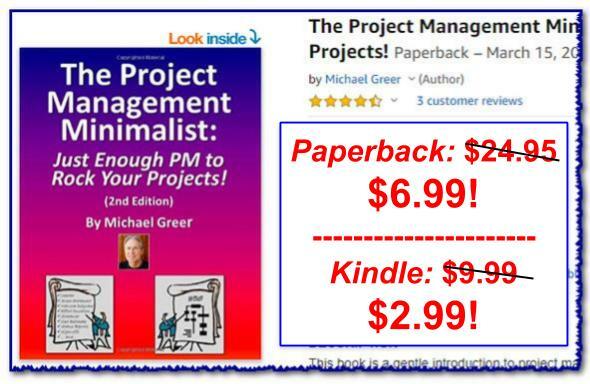 Check it out below, then go to Free Management eBooks and download that little gem that will make your make your management sparkle!